Jared received a PhD in Applied Physics from the University of Michigan-Ann Arbor and a graduate certificate in Science Technology and Public Policy from Michigan’s Gerald R. Ford School of Public Policy. 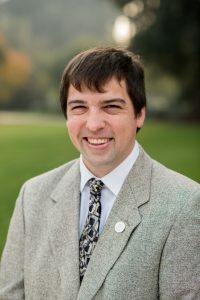 His dissertation focused on developing new numerical techniques for global weather and climate models to better forecast hurricanes and severe weather. He received a BA in Physics from Gustavus Adolphus College in Minnesota.